The entire state of Michigan focused their attention on the Michigan Wolverines and their response to the earth-shattering upset they endured a week earlier to the Appalachian State Mountaineers. If only the folks in Ypsilanti could care that much about their football team. Eastern Michigan University is only ten minutes from the University of Michigan, but they couldn’t be further apart in fan support and devotion. 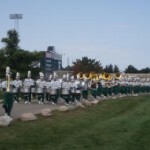 Attendance numbers for their home opener at Rynearson Stadium did not even surpass the 6,000 mark. The scene looked more like a spring game than a home opener. 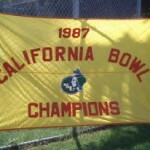 The highlight of the afternoon probably came at halftime when the 1987 California Bowl champion, Eastern Michigan Hurons, were honored on the field. Twenty years since Eastern’s last bowl game and the empty seats in the stands provided solid proof. As the game continued, it became clear that their streak of bowl absences would continue. Neither team appeared as though they were up for a fight in the first half. Sloppy play got a hold of both teams with turnovers and unnecessary fourth down conversions gone wrong. 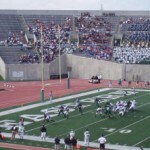 In the second half, Ball State began to take command and Eagle fans began to drain from the stadium. As Ball State continued to rack up the points, Eastern fans shuffled out with grimacing faces looking up at the 38-16 final score. “This is pathetic!” one fan scowled under his breath as he stormed out of the stadium. Eastern Michigan’s day was summed up in that one exclamation. 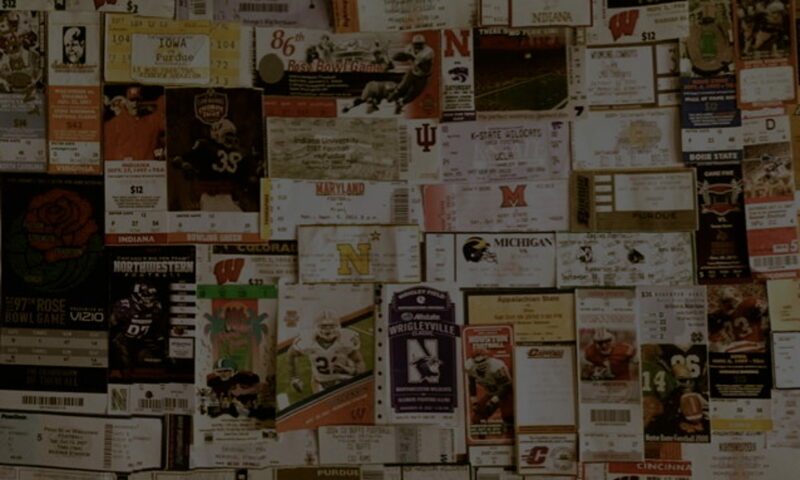 When we discovered that parking was free and tickets were a dismal eleven dollars, we knew that demand for Eagle football didn’t exactly reach lofty summits. Few students crowded that stands creating little to no atmosphere and the tailgating scene was non-existent. Few Ypsilanti folks seemed to support their team and cheering came at a minimum, even when the Eagles were showing sparks. To think I was concerned about getting to the game early. There was not very much to appreciate and the football team put an exclamation on that fact. 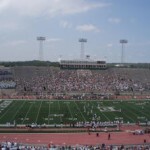 This would be the first of two games that the college football tour would visit on this day. Central Michigan was next on the list and we hoped that the atmosphere would take a giant leap forward from the first stop. 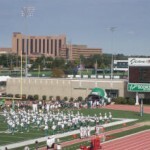 Nevertheless, as the Michigan Wolverines became the topic of conversation this past week, Eastern Michigan did nothing to shift the attention in Ypsilanti. No monumental upsets to report from here. Band marches in with few people watching. Commemoration of their last bowl game. Ball State scores on this early pass play. Not a lot of fan support today. 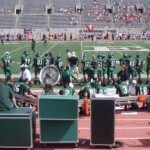 Dejected EMU players await the end of the fourth quarter.